Our membership levels are designed to accommodate the broadening needs of both Suppliers and Buyers. At Constructionline we work with over 10,000 buyers from nearly 4,000 organisations across the public and private sectors. Our Buyers use the Constructionline platform to quickly identify Suppliers that will enable them to complete a whole range of construction projects. 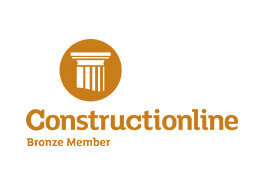 The Constructionline team validates all of its members, providing Buyers with a pool of high-quality Suppliers that they can confidently engage with. We have several membership levels, to cater for buyers that look for a broader range of compliance criteria, as well as suppliers looking to select a membership level that best suits their business needs. Associate level acts as a ‘try before you buy’ option for suppliers new to Constructionline, enabling you to experience the platform prior to selecting a membership level that’s appropriate for your business. All Suppliers holding a Bronze, Silver, Gold or Platinum membership are included within Buyer searches, providing a much greater chance of being invited to tender for relevant construction work. What’s covered in each level? Entry level verification of a subset of the C1 to C4 sections. Verified using real-time dynamic data. Supplier details in the PAS 91 Mandatory (C1-C4) sections are verified, using real-time dynamic data. Optional sections (O1-4) can be completed to enhance your profile, but are not verified. All the benefits of Silver membership, plus an extended verified PQQ (covering Environmental Management, Equalities and Diversity, and Quality Management, and ensuring legislative compliance). Suppliers possess a valid SSIP certificate. All the benefits of Gold membership, plus a structured 1-day on-premises audit and assessment, delivered by a team of world class Health and Safety auditors to demonstrate your compliance with current legislation. Do you want to upgrade your Constructionline account? If you are already a Constructionline member and simply wish to upgrade your account be sure to check our upgrade guide found in our support section, this gives you a step by step guide on how to upgrade to your desired level. To start the process click the link below and log into your account. Relieving you of the supplier assessment burden.